We help our clients cultivate wellness by blending classical pilates and dynamic freeform movement. 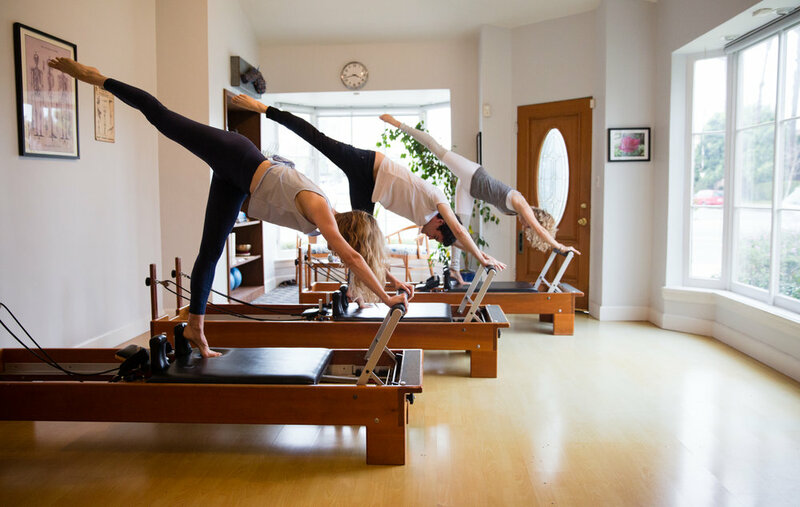 Our group reformer classes and private sessions help you discover how to move with precision and ease. Because our class sizes are small we offer individual attention in order best serve your body and practice. Once these skills are honed we move in the “open studio.” In the open space, we move freely and test our physical limits, with classes like The SHIFT. In either style of class, we notice our thoughts and work to better understand our mind/body dialogue. Through curiosity, direction from your teacher and the ritual of practice we witness deep change.